This Saturday we get right back to National League South action as we welcome familiar foes Wealdstone to the Aspect Arena. The Stones head into the game on Saturday on the back of two victories, the first just over a week ago as they beat Chelmsford City in an FA Trophy replay, winning 2-1 away from home. This past Saturday Wealdstone picked up a 3-1 win at home to Braintree Town in the Vanarama National League South which put them 11th in the table. 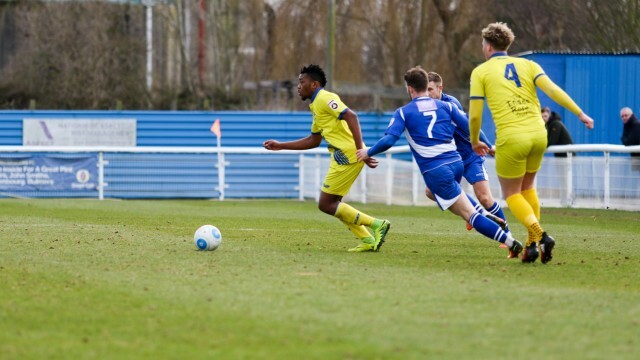 Concord Rangers will be going into Saturdays game in a rich vein of league form, unbeaten in 9 and winning the last two at home to Chippenham Town and more recently away at Bognor Regis Town this past Saturday afternoon. The lads also won their Essex Senior Cup fixture on Monday night, beating Aveley 5-0 to set up a Quarter Final fixture against East Thurrock United in the new year. The last time these two sides met was on the opening day of the season, when the Beachboys travelled to Grosvenor Vale. On that day Jordan Cox scored for Concord Rangers, but it wasn’t enough to get the result we wanted as the hosts won that Saturday 2-1.